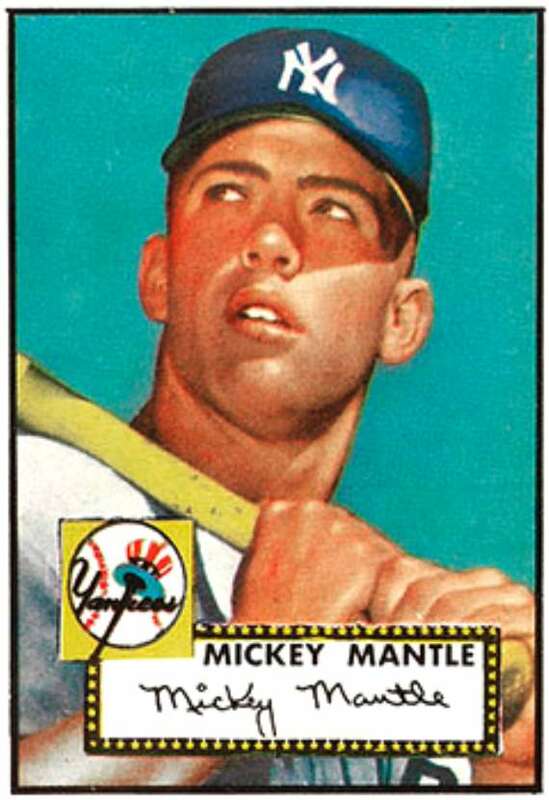 By the time Topps issued its 1952 Mickey Mantle Topps rookie card, the holy grail for many baseball card collectors, the legend of an American hero was well underway. A 19-year-old “jewel from mine country” in Oklahoma already had arrived the previous year to elevated typewriter praise and mythical description — or in the words of his eventual biographer, Jane Leavy, “The World Opened Up” to him. Mantle, the “Commerce Comet,” had hit a 600-foot bomb in Southern California on a Yankees barnstorming trip in the spring of 1951, and he had gone on to crack the Opening Day lineup in a No. 6 jersey and then acquire No. 7 when called back up later in the season. He had helped the Yankees to the 1951 World Series title, their 14th championship. Now it was April 16, 1952. Joe DiMaggio was through as a Yankee legend (and perhaps we will see him later in this countdown), another passing of a torch. Opening Day at Shibe Park in Philadelphia. 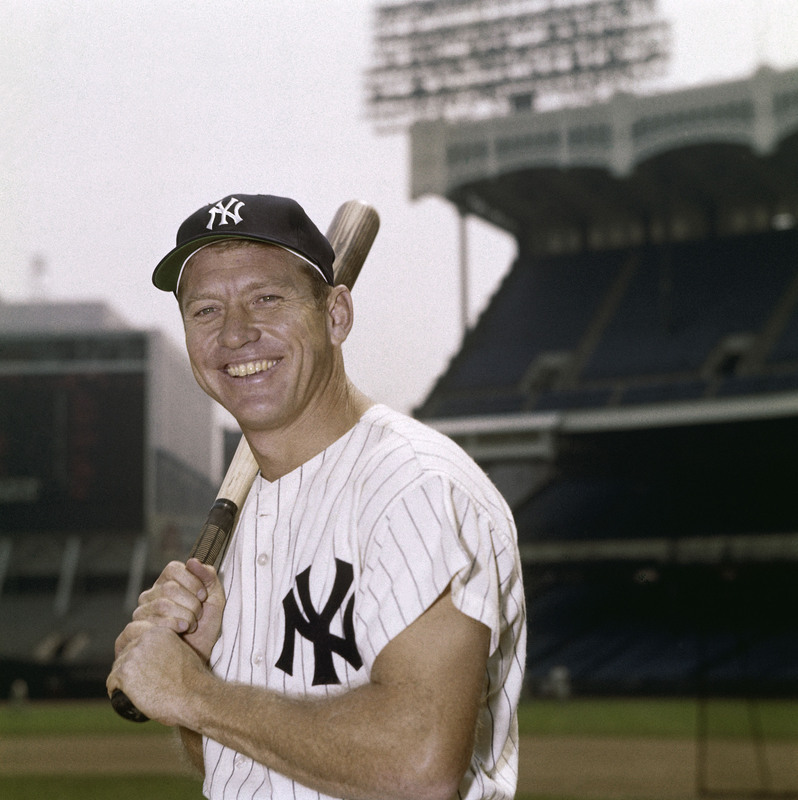 Mantle started in right and batted third in Casey Stengel’s order. In five plate appearances, Mantle was on base four times — a single in the fourth, a single in the sixth (he scored), intentional walk in the eighth, and a two-run double off Carl Scheib in the eighth to blow the game open in an 8-1 victory on the way to a repeat title. Here are The Mick’s Opening Day stats: 23 for 63 (.365), 17 R, 14 RBI, 4 HR. The Yankees were 12-6 in those. Of course, most of those Opening Day appearances paved the way for All-Star selections (every year in a No. 7 jersey except ’66). Twelve of his 18 overall Opening Day appearances paved the way for World Series action, where he hit more home runs than anyone then or now, and earned seven championship rings. Who should be No. 6? We are exactly one week away from the start of another Major League Baseball season, and that means it is time to honor Mickey Mantle at No. 7 in the Opening Day Countdown Down Under. Take a unique look back at The Mick’s Opening Day history, and join in the comments to help decide who should be No. 6.
well, you got the Mick right on. Congrats. 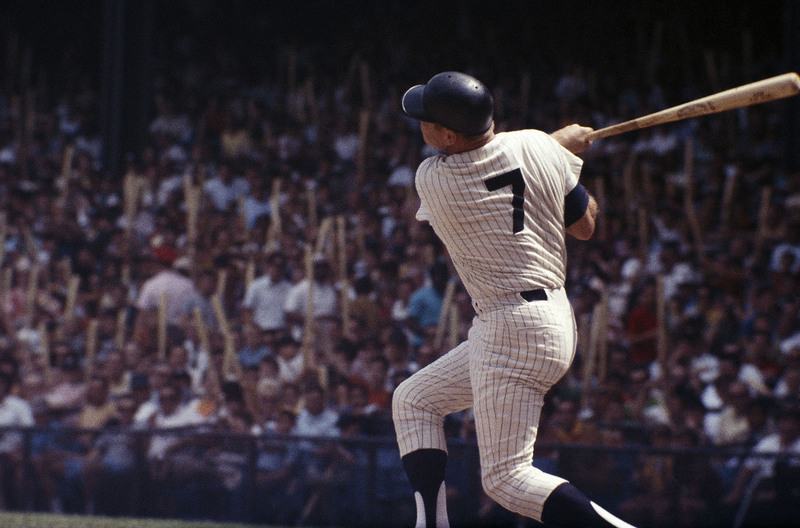 6 = Stan, and Al. Couldn’t find anyone better than those two. If only he hadn’t thought he would die by the age of 40, like his dad, uncles, and grandfather. Imagine what he could have been had he not burned the candle at both ends. way to not have to compromise comfort for style so that you can exude confidence on your special day. Short and sassy, the Bruges Wedding Gown from the Reverie Collection is simply dripping with modern sophistication.